From 9 Mile rd, go S on Jernigan Rd to Right into Mazurek Plantation, Left onto Old Nursery or from Olive Rd go N on Cody Ln to Mazurek Plantation. North Pensacola off 9 Mile/ Olive Rd. 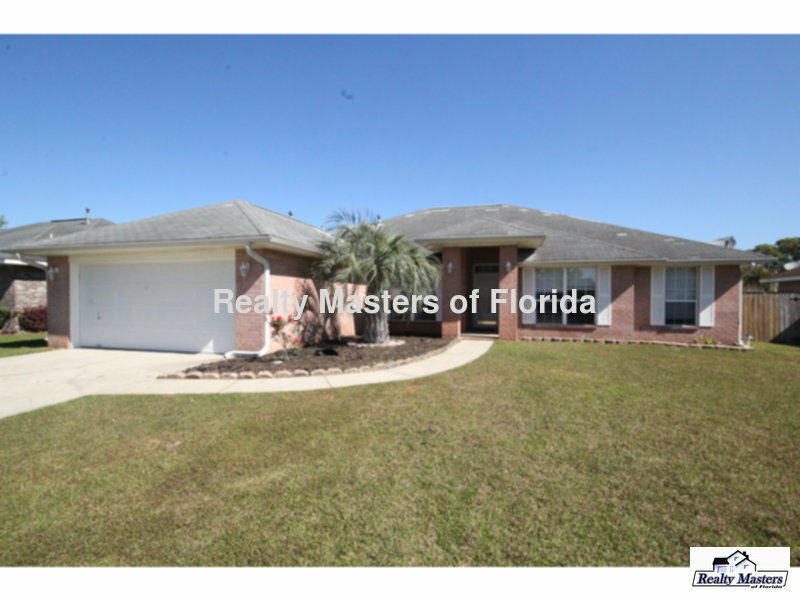 Spacious 4 Bedroom 2 Bath Brick home in Mazurek Plantation Subdivision! 2550 Square Feet Brick home built in 1999 in North Pensacola- Located off 9 Mile Rd/ Olive Rd. near Hospitals, UWF, I-10 and a great halfway point between Whiting Field and Pensacola NAS! Split bedroom floor plan! RECENTLY REMODELED~ BRAND new carpets in the bedrooms, luxury vinyl plank flooring in common areas , granite counter tops and cabinets in bathroom and kitchen. HUGE living room is 16'5 x 30'. Gas fireplace in living room. Large eat in kitchen with all appliances (fridge, NEW dishwasher, NEW oven/stove and NEW microwave). Formal dining room! Separate office. Master suite is large with double walk in closets in Master Bathroom. Double vanity and garden tub in master bathroom. Large walk in closets! Fully fenced backyard with sprinkler system and patio- Owner approval for pets and $250 non-refundable pet fee per pet. (Aggressive breed dogs will not be considered.) Home is vacant and will be ready for move in ! Master bathroom has a double vanity, garden tub, and his/her walk in closets!